At 12:35 a.m. tonight, it’s the end of an era. David Letterman will turn out the lights on what has been a legendary career. While the show’s last couple of years haven’t been as zany or unpredictable as it was in its heyday, Letterman’s departure is a void from late night television, nonetheless. 10. The Top 10 List home offices. Remember Wahoo, Nebraska? For whatever reason, the show stopped naming a city where the Top 10 Lists supposedly originated from. I’m not sure why, but I miss that. I like random, oddball stuff like that. 9. Biff/Rubert Gee. Letterman had a knack for anointing Average Joes as comedic stars. From Mujibar and Sirajul to stagehand Pat Farmer, they were all great. 8. The suits. He took heat year after year. Yet, he stuck to them. Letterman loved his double-breasted suits – and they loved him. 7. Dave’s Mom. Every once in a while, Dave would put a camera in the Indiana kitchen of his mom and put her on the show. She had great deadpan delivery, as well as the same gap-toothed smile as her famous son. 5. The Christmas tree meatball. It became an annual tradition. The meatball ornament on top of the tree. It was ridiculous. It was Letterman. 4. Outdoor comedy. Every gag and sketch performed on the streets of New York City elicited genuine, spontaneous comedic results. From turning a hose on the crowd to cutting people’s pants into shorts, it was always great. 3. Paul Shaffer. No one loved his job more than Paul Shaffer. After more than 30 years with Letterman, Shaffer’s comedic timing and second banana chops were legendary. He was the best complimentary character a host ever had. Oh, and he was a pretty great musician, too. 2. Self-deprecation. You always felt like Dave was insecure. Why? Because he constantly took shots at himself. Dave’s regular poking fun at himself gave him an endearing quality. How can you not like a guy who may or may not like himself? 1. Quick wit + camera look-in. Whether it was the guest saying something outlandish or Dave himself striking with a comedic dagger, it was Dave’s unique facial expressions and peer into our living rooms that we never got tired of. No one did it better. I know you gave them up, but you’ve earned one more cigar, Dave. Not a dollar. Not a penny. Not even a lint covered button. No more money for the Olympic Stadium. Have we all gone mad? In the capital of protesting and ‘sticking it to the man,’ why are we not putting up more of a fight on related to expenditures on the Big Owe? This spring, the Quebec government said that a sickening $200 million dollars has to be sunk into this sinking ship over the next decade – and that doesn’t even cover fixing the issues of the Swiss cheese-like current stadium roof to the tune of several hundred millions more! Factor in that it currently costs $1.4 million dollars to operate this near-abandoned structure annually and we’re talking about a disgustingly obscene amount of money. Photo: ctvnews.ca, March 2012, after a concrete block fell. Why? Why are we doing this? Because the governments say that it’s a tourist attraction? Really? Have you ever actually met someone who has gone up to the top of this hideous structure? Ever heard a tourist from out of town say that they want to bypass downtown and visit the empty Olympic Stadium and ascend its leaning tower? Ridiculous. Still, we never seem to get a plausible response as to why we keep the money flowing into what has become the ultimate money pit. The stadium has no tenant. It’s been called one of the worst buildings in the history of professional sports many times. It’s void of any real evening entertainment destinations within miles. Am I missing something here? This is downright crazy. We’re throwing bad money after bad money, year after year, literally. And to what end? Are overly concrete, problem-riddled echo chambers going to come back in style in professional sports? Can you really picture this edifice serving any purpose in the year 2040? What are we doing here? Doesn’t any government official see the big picture? It’s like spending $600 to repair a five-year old laptop instead of buying a new one! Full disclosure, I am one of many advocating for a new stadium to house the return of the Montreal Expos. Everyone knows that. But this is more than about getting our baseball team back. This is about civic pride. When every metropolis in North America has a functioning stadium that doesn’t require the budget of a small country just to remain upright, it begins to border on the embarrassing. Vancouver has a revitalized BC Place. Toronto has a decent Rogers Centre. Montreal has a weather-dependent facility problem. So you see, my desire for a new stadium coincides with trying to procure a baseball team, and isn’t just about attracting one. Yes, I know what the naysayers want me to explain; how are we going to pay it? It’s quite simple, really. First, with the average Major League Baseball payroll currently sitting at roughly $110 million, can you imagine the amount of income taxes that the provincial government would collect annually from the Montreal based players? Can we we not simply earmark those sizable funds towards paying the government back for a stadium? Next, we all know how stadium naming rights are worth a pretty penny. Can we not factor that revenue in as well? Finally, there’s the Dominic Therrien white paper proposal of partially funding a stadium through a wealthy immigration program. It worked in Brooklyn (see the Nets and now the Islanders). Add all of these revenue streams up and you have a large portion of a new stadium potentially paid for – and we didn’t even mention a potential ‘buy a stadium brick’ public campaign. I’m no economist or financier, but surely there’s a starting point here. At the end of the day it’s about common sense. Do we want to be the laughing stock of the country and continent by continuing to prop up failing infrastructure or do we want to lure a baseball team back and create a REAL must-see Montreal destination? The choice seems obvious. But then again I have no interest in reaching the top of the Olympic Stadium for a great view of the nearby Insectarium’s roof. Recently, I came across a video message by Option Nationale Leader Sol Zanetti, directed at the citizens of Scotland. With Scots voting on independence, Zanetti decided to take the position of Savant on the subject, and tell the Scottish how Quebec has screwed things up by staying a part of Canada. Personally, I found the video repugnant, self-serving and full of inaccuracies. While I have no illusions of how my sparsely updated blog is irrelevant on the Canadian political landscape, I have to say something. In fact, I feel my angst over the video subsiding with every keystroke. To start, as a communications professional, I should know better. When a political party is a non-factor, you shouldn’t give it the light of day. Option Nationale is a party that is trailing even other niche provincial parties. But when the message pretends to represent all of Quebec, it strikes me at my core. To begin with, Zanetti and his propaganda pals title the video An important message from Quebec for the Scottish, which, unless he is producing a satire video, he can’t get away with. There are literally 250 other public figures in Quebec that are more qualified to represent Quebec in such a message than Sol Zanetti. Although, I will give him credit, his English is good. His work with a razor? Not so much. So let’s tackle some of the elements in his message to Scotland. – Zanetti references the 1980 and 1995 Quebec referendums, and says “Based on our experience, you will be worse off if you vote No.” How, exactly? Prior to 1980, Quebec was an English bastion for big business. While I am against anything that breaks up Canada, I will admit that the two referendums did serve a very valid purpose – they brought the majority French-speaking population of Quebec more respect and more laws. I refer you to how minority languages today are deemed a threat to French Quebec if their menus aren’t French. -He talks about how Quebeckers were promised so much prior to the referendums, and that they were lied to. He references how healthcare funding hasn’t kept pace with the Quebec population. There’s only one problem with that latter point – an independent Quebec wouldn’t be able to pay for healthcare anyway! -Conveniently, this video omits the incredible and disproportionate power that Quebec has held within Canada, essentially electing the country’s opposition party in the early 1990’s and then again in the last federal election. -Sol Zanetti threatens the Scots by saying that they were will the laughing stock of the world, like Quebec has become. The issue with that? Quebec has made embarrassing headlines SOLELY for enforcing language and other laws that target non mother tongue Francophones. In what universe was this because Quebec is a part of Canada? He takes it a step further, saying that they will be the laughing stock according to him as well. Another problem – who is Sol Zanetti? Until CJAD gave him the greatest gift he could have ever asked for by mentioning this video, the man was as anonymous as the good ideas in his party’s platform. -Finally, by uttering the phrase Mind your own business towards the end of the video, Zanetti implies that the majority of Quebeckers want to separate, and anyone who disagrees should go away. Here’s the reality – when your party polls at less than one percent (down a percentage point from the previous election), it means that whatever you say isn’t the business of 99 percent of the population, literally. As a proud Montrealer, Quebecker and Canadian, and one of the MAJORITY in the province that has ZERO interest in leaving Canada, if Mr. Zanetti is so insistent on speaking for everyone, I have an idea. I’d like to recommend that he find an uninhabited island and start his own new sovereign nation. Who knows, maybe some of his one percent will join him. Montreal, Canada, March 26, 2013 – The Israel National Junior Hockey Team, comprised of mostly Israeli born players, will once again travel to North American with planned visits to New York City in October (date TBD) and to South Florida on December 26 in conjunction with the Florida Panthers, announced Alan Maislin. The players also hope to serve as inspirational figures to aspiring hockey players and fans everywhere. Coached by former National Hockey League Stanley Cup champion Jean Perron, the junior team is fresh off a historic visit to Turkey where they won gold and have now advanced to International Ice Hockey Federation (IIHF) Division 2. Israel is a member of the International Ice Hockey Federation (IIHF) and is seeking to once again reach the IIHF senior first division, a monumental feat it accomplished in 2005. The senior national team will also play in Turkey, participating in an April. “It is an honour and a privilege to continue the behind-the-scenes work with the Israel hockey program. These young athletes want nothing more than to get better at the sport they love, and to inspire their countrymen and the hockey world,” explained Chairman Maislin. Among those serving on the committee of the Friends of Israeli Hockey are hockey analyst Pierre McGuire, New York Rangers President and General Manager Glen Sather, and former Stanley Cup winning coach Mike Kennan. Friends of Israel Hockey is a volunteer committee made up of executives and influential hockey figures throughout the world. The purpose of the committee is to raise funds for Israel hockey, provide premiere coaching and facilities, and create rich cultural experiences for the country’s promising hockey players. Led by Committee Chairman Alan Maislin, Friends of Israel Hockey is also looking to build the country’s second official size hockey rink and to once again help the program qualify for the IIHF senior first division. Distinguished hockey members of the committee include Glen Sather, Mike Keenan, Pierre McGuire, Pierre Page and Jean Perron. Matthew Ross is a member of the Friends of Israel Hockey volunteer committee, serving in a media relations capacity. On the January 15th episode of my sports radio show on TSN 690 in Montreal, I pontificated on marriage and parenting a little, and how we men can cope and survive. I recently posted a status message on my Facebook profile, explaining the fact that I ‘unfriended’ a couple of individuals who went ahead and ‘liked’ the Pauline Marois Facebook page. Now, to some this would seem like an act of intolerance and exclusionary behaviour. But the truth is, it’s actually a gesture of pure Federalism, pure and simple, nothing more. We all use the term ‘friend’ loosely on Facebook. Many of us have throngs of acquaintances we don’t really know. Due to my radio program in Montreal, I have a lot of listeners and fans of the show that have found and added me on Facebook. I accept most of the friend requests because I want to be grateful that they are faithful to my show, and also to let them feel like they have access to me. It’s also worth noting that I generally don’t post any pictures of my kids or family on there, and don’t give out too many details of my private life. To me, Facebook is a social networking tool, designed to better seek out and reach people with whom you are interested in communicating and monitoring. So when a couple of people decide to celebrate a politician whose only goal in public life is to break up the country that I live in, well, I took great exception. As a result, I HAD to delete those that encouraged the dissolution of the only nation that I have ever lived in. If I don’t stick up for what I believe in, how could I look my kids in the eye. Sure, it would be the politically correct decision to ignore the Parti Quebecois support of a couple of Facebook friends for the broader appeal of me and my public dealings. But I am not wired like that. Any party that encourages the limiting of religious freedoms, the separation of Quebec from Canada and the crackdown on the English language in every facet, cannot be something that I act indifferent towards. Don’t get me wrong, I know my actions don’t amount to a major ripple in the political waters of this country. But it’s a way to vent and to have a non-destructive outlet. I had a satisfactory exhale upon my ‘unfriending’ exercise and was able to move on with my day. Non-Quebecers don’t understand how emotional and anxiety-causing the Quebec separation issue really is to some La Belle Province natives. It’s definitely a cathartic activity for frustrated English-speaking Quebec citizens. Simply visit the Marois Facebook page and see what common friends of yours have liked it. You will then know who to delete right away from your friends list. I am sure these guys will never notice that I am no longer friends with them. I have no illusions about my at-best “E level” celebrity status in this town. But, if they were thinking of sharing the Pauline Marois Facebook fan page with me at some point, they have another thing coming. Matthew Ross is a communications professional and freelance journalist. His sports radio show has been on TSN 990 since 2004. So far in my career, I’ve been fortunate, very fortunate. I’ve accomplished a lot of things in so many genres. As a journalist, I’ve managed to hold down a part-time sports program on TSN 990 in Montreal since 2004. I’ve also been published in the Montreal Gazette, National Post, and on TSN.ca, to name a few. But I’ve also had some success as a public relations professional, landing clients media attention on television, in print and on major online portals. However, because I have the good fortune of being on both sides of the media, the lines can become blurred. Recently, I had a PR client who approached me looking for sports media coverage. Simple enough, right? Well…. not exactly. The client was elated with the results from our work on the campaign. But it was the process that became a little sticky at certain points. When you’re PR itching the very same people that you consider journalist colleagues and friends, you have to tread lightly and proceed with extreme finesse. In the end, it all worked out. I didn’t manage to alienate anyone and I didn’t cross any journalism ethics codes. But, the whole experience did make me stop and think. I’ve always viewed my versatility and diverse communications background as an asset. But in this particular situation, it almost hindered me. I thought a sports client would be the ultimate, drawing on my years of experience as an industry watcher and commentator. But in the end, it turned out to be just as challenging. Would I do it all over again? Absolutely! I’ve always been one to say that things happen for a reason. So the public relations campaign, deemed a success by my client, was but another experience to learn from and to draw on in the future. FREE SPEECH ALERT! Not everyone will like this somewhat satirical take. What started out as a quick Facebook status message and a simple Tweet, has now turned into a full fledged rant. Recently, I posted about what a joke it is that there were Montrealers attempting to stage a similar demonstration against greed and Wall Street, as those that were doing it in places like New York. As a result, some relentless hack kept attacking me for commenting on a pointless public display of squatting, saying I don’t even update my blog. Fair enough. I write for a living and am fairly busy with several projects and clients. It’s hard to find the time or patience to update my blog. But here you are, kind sir. Thanks so much for researching me. What are these people doing playing camp in the middle of Montreal? What is Occupy Montreal? It seems like they’re more interested in stockpiling food and setting up media centres, than they are in explaining exactly what they’re doing there and hope to achieve. Minor details, apparently. The demonstrations south of the border are about the 99 percent versus the one percent. They’re about standing up against the poor U.S. economy and the bailouts. They’re about the housing crisis and foreclosures. They’re about the perennial troubles that the masses have when it comes to healthcare and tuition. So back to the great white north. Back to the city of Montreal and these geniuses who have willingly flocked to a park, in the middle of a province that is in decent shape. I mean, correct me if I am wrong, but isn’t the Quebec economy situation pretty decent as compared to what’s happening to the south? Doesn’t Quebec have the most worker’s rights on the continent? Isn’t this the province with low tuition fees and the country with medicare? The only thing more pathetic than this hazy attempt at change is the local media’s insistence on giving this sad spectacle a voice and the time of day. They should treat the park dwellers like I do my three-year old when she acts up – just ignore her. Chances are they’ll stop acting out. What in the name of Warren Buffet are these jokers doing in the park? They don’t even know! Go ahead, ask one of them. See what they say. They’re probably too busy trying to figure out whose turn it is to build the final wall on their cool fort. Don’t get me wrong. I am not a financial guru, nor am I a rich man, to say the least. But I am a realist who isn’t blaming my current standing on ‘the man,’ or on the successful. If Occupy Montreal wants to take up a worthwhile cause that actually makes sense close to home, I’ve got a perfect fit for these non-conformists and misguided, misled individuals clamouring for a reason to band together. Don’t occupy a square in the middle of downtown Montreal. Instead, occupy a bridge and demand better transportation and road standards. One quick tip – better bring a raft! Matthew Ross is the founder of ContentServicing.com, a content and communications provider. He is also the host of Game Points on TSN Radio 990 in Montreal, Canada. You can view/join the show’s Facebook group or become a follower of Matthew at Twitter.com/matthewrossmtl. Let me start this list with the required disclaimer that any list like this is subjective. Everyone has an opinion, and here’s mine. Here we go. body of work, his versatility, longevity and incredible following, we’re putting him on this list. 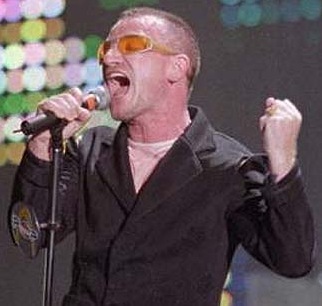 Bono himself has been critical of his own singing abilities on occasion. But who is he to argue with millions of albums sold and countless accolades. My dad dimisses Bono as a whiny voice. I prefer to think of his sound as soulful, expressive, pouring directly out from his heart. Every lyric resonates, every story told is impactful. For all of these reasons, Bono is on my list. 4. Steve Perry – Lately, my young daughter has forced me to listen to Wheel in the Sky over and over. I never really mind (well, okay, after the eighth successive time I do) because Steve Perry’s voice IS music. You can’t have a list like this without considering Perry for a spot in the top ten or even top five. One true testmanent to his unique, powerful and exciting sound is that very seldom are Journey songs ever remade. No singer wants to be compared to what Perry brings to the mic. You can’t even sing one of his songs in the shower, because invariably you get annoyed that you can’t sound even a tenth as good as him. Hell, if he can make Oh Sherrie a hit, you know he’s got a heck of a voice. known on this list and probably lags behind in terms of commercial success. However, Chris is so good he can even mumble in a song and it sounds fantastic. 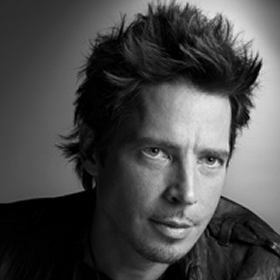 Cornell grew famous with Soundgarden, but also headed Audioslave and went out on his own. He’s sort of an enigma, but his sound is so unique it hits your ears like a freshly prepared rock sermon every time. Personally, he’s my favorite of all-time, but I had to recognize the talents of the two men that sit 1-2 on this list as well. 2. Robert Plant – The man, the myth, the legend. Robert Plant’s high octave voice is unmistaken. No singer ever put more energy into every verse than Plant. He’s the top singer for many, many rock disciples. Plant is another one of those unique talents that’s simply too good to ever be covered. Plant’s voice almost sounds like an instrument, finely tuned and ready to be rocked at a moment’s notice. I’m not the biggest Led Zeppelin fan in the world, but I can certainly respect the talent that is Robert Plant. voice. Elvis wasn’t just an icon for rock and roll, he had the chops to back it up. Preseley demonstrated range, he connected with audiences and he put everything he had into each and every song. 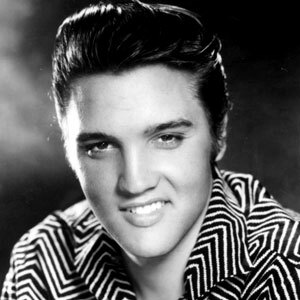 Whether he was young Elvis or fat Elvis, he was the man when he stepped to the mic. When they’re still talking about you almost 60 years later, you know your voice had the ability to reach anyone, anywhere, any time. The King is the king of this list. Thanks you for reading, thank you very much. Matthew Ross is the founder of ContentServicing.com, a content and communications provider. He is also the host of Game Points on THE TEAM 990AM in Montreal, Canada. You can view/join the show’s Facebook group or become a follower of Matthew at Twitter.com/matthewrossmtl. As recently as a year ago, I still had web-savvy people telling me that Twitter was useless, a guilty pleasure for any idiot with a thought. While that may have been true, and still is to some degree, the usefulness of Twitter for communication, marketing and even SEO is now undeniable. I have been working on a PR campaign for a sports website (and yes, I am not going to capitalize ‘website,’ I am taking a stand), whose social media efforts had room for improvement. While they did have a couple of Twitter accounts, including one with several hundred followers, they weren’t being used with a traffic-driving mentality. Enter Social Oomph. The site has been instrumental in this sports portal seeing thousands of new click throughs a month from Twitter. Social Oomph allows you to track your tweeted links and time delay your tweets, among its other uses. Utilizing keyword hash-tagging and including links to various articles, Twitter has helped this sports site tap into a previously unexplored reservoir of social media-aware sports information readers. So this recent success got me thinking. While we’re certainly not going to see anything replace Google or Google News any time soon, is Twitter the new Google? I don’t mean to pose a question in the same manner that a Carey Bradshaw would, but it really is an interesting question. As the social media platform grows in reach, volume and in technology, more and more people are consulting Twitter’s search functions to get the latest info on their favorite topics, people and news stories. It’s become a must-search site, making it a must-participate for any communications or marketing professional seeking to drive traffic or raise the profile of its clients. A quick search in Twitter for a random item will allow you to pull up the latest musings, news and even aversions/likes that someone else out there has for it. It’s really quite remarkable. A Google for the social media. And there are all sorts of businesses that have sprung up in recent years to take advantage of the Twitter phenomenon. Businesses that can get you more followers. Businesses that can track your tweets or even do the Tweeting for you. But here is where it all ties together. In Google searches for people, places or things, you’re now seeing Twitter appear as a sourced search result more and more prominently. In a sense, it might even be stealing Google’s thunder a little bit. So to those who are still stubborn and avoiding the inevitability of tweeting, you’re only hurting yourself, or your bottom, as it were. As for me, I am not expert on the subject. I don’t have 1,000 or more followers. But that’s only because my work is done through clients’ accounts and because I don’t Tweet enough on any one of my handful of accounts. But I do think I know a good thing when I see one.